(a) Unless otherwise specified in this part or in the disposal regulations, performance assessments and compliance assessments conducted pursuant to the provisions of this part to demonstrate compliance with § 191.13, § 191.15 and part 191, subpart C shall assume that characteristics of the future remain what they are at the time the compliance application is prepared, provided that such characteristics are not related to hydrogeologic, geologic or climatic conditions. (b) In considering future states pursuant to this section, the Department shall document in any compliance application, to the extent practicable, effects of potential future hydrogeologic, geologic and climatic conditions on the disposal system over the regulatory time frame. Such documentation shall be part of the activities undertaken pursuant to § 194.14, Content of compliance certification application; § 194.32, Scope of performance assessments; and § 194.54, Scope of compliance assessments. (1) In considering the effects of hydrogeologic conditions on the disposal system, the Department shall document in any compliance application, to the extent practicable, the effects of potential changes to hydrogeologic conditions. (2) In considering the effects of geologic conditions on the disposal system, the Department shall document in any compliance application, to the extent practicable, the effects of potential changes to geologic conditions, including, but not limited to: Dissolution; near surface geomorphic features and processes; and related subsidence in the geologic units of the disposal system. (3) In considering the effects of climatic conditions on the disposal system, the Department shall document in any compliance application, to the extent practicable, the effects of potential changes to future climate cycles of increased precipitation (as compared to the present conditions). The U.S. Environmental Protection Agency's (EPA's) purpose in issuing the Compliance Criteria at 40 CFR § 194.25 (U.S. EPA 1996) was to minimize the impact of inherently conjectural specifications of future states on the compliance application. The EPA has found no acceptable methodology to predict the future state of society, science, languages, or other characteristics of mankind. However, the EPA does believe that established scientific methods can make plausible predictions regarding the future state of geologic, hydrogeologic, and climatic conditions. Therefore, section 194.25 stipulates that the future state will resemble present conditions except for those relating to hydrogeologic, geologic, and climatic conditions. For example, the population density and land ownership patterns in the Waste Isolation Pilot Plant's (WIPP's) surrounding regions are assumed to remain consistent with today's conditions for the next 10,000 years. However, section 194.25 requires that performance and compliance assessments include dynamic analyses of changes in the geology, hydrology, and climatic conditions during the regulatory time frame. Future state assumptions that are relevant to 40 CFR § 194.25(a) and may affect the containment of waste were identified by the U.S. Department of Energy (DOE) in the Compliance Certification Application (CCA), Chapter 6.0, Section 6.2 and Appendices SCR and MASS (U.S. DOE 1996). Many of these future state assumptions were derived from the development of features, events, and processes (FEPs) that are potentially relevant to the performance of the waste disposal system, and can be found in the CCA, Appendix SCR (e.g., solution mining and anthropogenic climate changes). FEPs are screened using specific criteria to determine what phenomena and components of the disposal system can and should be dealt with in performance assessment (PA) calculations. In its certification decision, the EPA first determined whether all FEPs and appropriate future state assumptions were identified and developed by the DOE. The EPA then evaluated the DOE's criteria to eliminate (screen out) inapplicable or irrelevant FEPs and associated assumptions. The EPA also analyzed whether there were potential variations in the DOE's assumed characteristics and determined whether the future state assumptions were in compliance with section 194.25(a). The EPA's CCA review found no potentially significant omissions in the lists of FEPs, and no major inadequacies in the CCA's descriptions of FEPs and related future state assumptions. 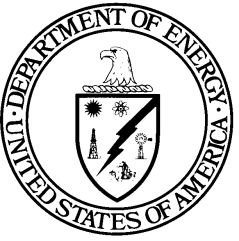 The EPA concluded that the DOE adequately described all the future state assumptions applicable under section 194.25(a) (U.S. EPA 1998a). To comply with 40 CFR §§ 194.25(b)(1), (b)(2), and (b)(3), the DOE identified and described the hydrogeologic FEPs and related future state assumptions retained for further evaluation and inclusion in PA calculations in the CCA, Chapter 6.0, Section 6.3. The DOE described the effects of potential changes to hydrogeologic conditions on the disposal system in the CCA, Chapter 6.0, Sections 6.4.6 and 6.4.9 and Appendices SCR, TFIELD, and MASS. The DOE described the effects of potential changes to geologic conditions on the disposal system in the CCA, Chapter 6.0, Sections 6.2, 6.4.6, 6.5.4, and Appendices SCR and MASS. The DOE identified and described the effects of potential changes to future climate cycles of increased precipitation on the repository in the CCA, Chapter 6.0, Section 6.4.9. The EPA concluded that the DOE adequately addressed the impacts of potential hydrogeologic, geologic, and climate changes to the disposal system (U.S. EPA 1998a). The EPA further stated that the CCA included all relevant elements of the PA and compliance assessments and was consistent with the requirements of section 194.25. For the 2004 Compliance Recertification Application (CRA-2004), the DOE reevaluated all WIPP FEPs and made improvements and clarifications to several FEP descriptions, arguments, and screening decisions. The results of the FEPs reassessment were presented in Appendix PA-2004, Attachment SCR (U.S. DOE 2004). Table SCR-1 summarized these changes in the CRA-2004. To evaluate compliance with section 194.25 requirements, the EPA reviewed the CRA-2004 documentation, including Chapters 2.0, 6.0, 7.0, and 9.0; Appendix PA, Attachment SCR; Attachment TFIELD; and Attachment MASS. As in the 1998 Certification Decision (U.S. EPA 1998b), the EPA first determined whether all FEPs and appropriate future state assumptions were identified and developed by the DOE. The EPA then evaluated the DOE's criteria to eliminate (screen out) inapplicable or irrelevant FEPs and associated assumptions. The EPA also analyzed whether there were potential variations in the DOE's assumed characteristics and determined whether the future state assumptions were in compliance with section 194.25(a). The EPA verified that all appropriate FEPs were included in the list provided by the DOE for section 194.25(a). The EPA reviewed any changes in FEPs, including all screened-in and screened-out FEPs related to future states, to verify that their selections were made correctly. The EPA's FEPs review is documented in the CRA-2004 Technical Support Document for section 194.25, 40 CFR § 194.32, and 40 CFR § 194.33 (U.S. EPA 2006a). The EPA reexamined any hydrogeologic conditions that may have changed since the CCA review. The EPA determined that the DOE's review of FEPs related to hydrogeologic conditions and screening arguments was complete and that the conclusions drawn were appropriate. Changes in the hydrology at and around the WIPP site, such as water level changes in monitor wells and changes in potash mining, were appropriately included in PA modeling by updated changes in the Culebra Dolomite Member of the Rustler Formation (hereafter referred to as the Culebra) transmissivity fields (T-fields). See the CRA-2004 Compliance Application Review Document (CARD) 25 for more information (U.S. EPA 2006b). The EPA reexamined the DOE's characterization of future geologic conditions in the CRA-2004 documents (U.S. EPA 2006a). The EPA reexamined issues that were reviewed during the CCA, such as tectonics and deformation assumptions; fracture development and fault movement; ground shaking and seismic assumptions; volcanic and magmatic activity; metamorphic activity; shallow, lateral, and deep dissolution assumptions; and mineralization assumptions. The EPA also reviewed the CRA-2004 screening arguments related to geological screening decisions. The EPA determined that the DOE's geologic screening arguments were reasonable and adequate. As in the CCA, the EPA's review of climatic condition changes focused on applicable FEPs. The EPA found that new information since the CCA did not impact FEPs or screening decisions related to climate change (U.S. EPA 2006b). Based on a review and evaluation of the CRA-2004, Chapters 2.0, 6.0, 7.0, and 9.0; Appendix PA, Attachment SCR; Attachment TFIELD; Attachment MASS; and an assessment of changes since 1998, the EPA determined that the DOE continued to comply with the requirements of section 194.25 (U.S. EPA 2006c). The DOE reevaluated the basis of the WIPP FEPs for the CRA-2009 (U.S. DOE 2009). The results of this reevaluation are found in Appendix SCR-2009. Conclusions drawn from Appendix SCR-2009 were also summarized in Section 32 of the CRA-2009. As described in Appendix SCR-2009, no screening decisions previously made using the future state assumption in section 194.25(a) were changed (although additional information may have been added to their descriptions); 16 FEPs were screened out based on this provision. Table 25-1 lists the 16 FEPs eliminated from PA calculations using the future state assumption. Because there were no changes to the conditions and bases for FEPs screened out using the future state assumption, the DOE continued to be in compliance with the requirements of section 194.25(a). 40 CFR § 194.25(b) requires consideration of future hydrogeologic, geologic, and climate conditions during the regulatory time frame. Table 25-2 lists those FEPs that were screened into PA calculations according to the criteria in section 194.25(b). There were no changes to the screening decisions for those FEPs that represent the hydrogeologic, geologic, and climatic conditions in the future; they continued to be represented in performance calculations. Section 1 of Clayton (Clayton 2008) lists the changes to the PA system used for the CRA-2009 calculations. None of the changes made for the CRA-2009 performance calculations affected the implementation of the FEPs screened in according to section 194.25(b). In summary, no changes were made to screening decisions for those FEPs that represent the hydrologic, geologic, and climate-related conditions for the WIPP, and no changes were made to the representation of these elements within the PA system. Therefore, the DOE remained in compliance with the requirements of sections 194.25(b)(1), (b)(2), and (b)(3). a These screening classifications are consistent with current screening arguments and classifications as presented in Appendix SCR-2009. Deposition and properties of geological formations in control of system performance. BRAGFLO grid incorporates relevant stratigraphic units. Pressurized brine reservoirs may be present in the Castile Formation beneath the controlled area. The potential for brine pocket intrusion is represented by the parameter PBRINE in the E1 scenario. Percolation of groundwater and dissolution in the Rustler Formation may increase transmissivity. The effects of shallow dissolution, as in Nash Draw, on the transmissivity of the Culebra are represented in the Culebra T-field generation and calibration process. a There have been no technical changes to this information since the CRA-2004, other than the correction of errors. Groundwater flow beneath the water table is important to disposal system performance. Groundwater flow is represented by the Culebra T-fields. The presence of air or other gas phases may influence groundwater flow. Unsaturated flow is a precursor to recharge to the Culebra, which is accounted for in the boundary conditions for the Culebra T=fields. Groundwater may flow along fractures as well as through interconnected pore space. Fracture flow is represented by the dual-porosity Culebra transport model. Groundwater flow may not be uniform, and may occur along particular pathways. Preferential pathways are accounted for in the calibration of Culebra T-fields to transient hydraulic test responses. Groundwater geochemistry influences actinide retardation and colloid stability. Salado and Castile brine geochemistry are accounted for in actinide solubility values. Culebra brine geochemistry is accounted for in the retardation factors used in PA calculations of actinide transport. The physiography of the area is a control on the surface water hydrology. Relevant aspects of the physiography are incorporated in the Culebra T-fields. The amount of water leaving the groundwater system to rivers, springs, and seeps affects the groundwater hydrology. Groundwater discharge is accounted for in the boundary conditions for the Culebra T-fields. The amount of water passing into the saturated zone affects the groundwater hydrology. Groundwater recharge is accounted for in the boundary conditions for the Culebra T-fields. The amount of water entering the unsaturated zone controls groundwater recharge. Infiltration is accounted for in the boundary conditions for the Culebra T-fields. Changes in climate and drainage pattern may affect the amount of water entering and leaving the groundwater system. Changes in groundwater recharge and discharge are accounted for in the Climate Index factor. Rainfall is the source of water for infiltration and stream flow. Future variations in precipitation are accounted for in the Climate Index factor. The temperature influences how much precipitation evaporates before it reaches streams or enters the ground. Future variations in temperature are accounted for in the Climate Index factor. Temperature and precipitation will vary as natural changes in the climate take place. Future climate change is accounted for in the Climate Index factor. The EPA verified that all appropriate FEPs were included in the list provided by the DOE for section 194.25 (a): future states remained the same, none changed for the CRA-2009. The EPA reviewed any changes in FEPs, including all screened-in and screened-out FEPs related to future states to verify that their selection was made correctly. There were no changes in the hydrogeologic conditions for the CRA-2009. The EPA concluded that the DOE's review of FEPs related to the hydrogeologic conditions and their screening arguments was complete and accurate and found the DOE to be in compliance with section 194.25(b)(1). The EPA also reviewed the CRA-2009 screening arguments related to geological screening decisions. These arguments had not changed. The EPA determined that the DOE's geological screening arguments were reasonable and adequate and found them to be in compliance with section 194.25(b)(2). The EPA's review of climatic conditions focused on related FEPs, none of which changed for the CRA-2009. The EPA found that new information did not impact FEPs or screening decisions related to climate change, and that the DOE was in compliance with section 194.25(b)(3) (U.S. EPA 2010). The DOE reevaluated the basis of the WIPP FEPs for the CRA-2014 (Kirkes 2013) and presents the results of this reevaluation in Appendix SCR-2014. Updates to screening arguments and decisions are presented in Appendix SCR-2014 and are also summarized in Section 32. As described in Appendix SCR-2014, no screening decisions previously made using the future state assumption in section 194.25(a) have changed (although additional information has been added to the discussion of FEP H58, "Solution Mining for Potash"). There continue to be 16 FEPs screened out based on the provision of 40 CFR 194.25(a), as shown in Table 25-3. Screening argument updated to describe solution mining project just outside Delaware Basin boundary. a These screening classifications are consistent with current screening arguments and classifications as presented in Appendix SCR-2014. There are no changes to the screening decisions for those FEPs that represent the hydrogeologic, geologic, and climatic conditions in the future; they continue to be represented in performance calculations. The implementation of FEP N2, "Brine Reservoirs," has been changed by updating the probability distribution of intercepting pressurized brine beneath the repository, see (Camphouse 2013). However, as previously stated, this change does not impact the screening decision; FEP N2 remains screened in and is accounted for in PA calculations. Table 25-4 lists those FEPs that relate to the future state of the repository for hydrogeologic, geologic, and climatic conditions. Pressurized brine reservoirs may be present in the Castile beneath the controlled area. Percolation of groundwater and dissolution in the Rustler may increase transmissivity. Unsaturated flow is a precursor to recharge to the Culebra, which is accounted for in the boundary conditions for the Culebra T-fields. In summary, no changes have been made to screening decisions for those FEPs that represent the hydrologic, geologic, and climate-related conditions for the WIPP. There are no changes made to the representation of these elements within the PA system for the CRA-2014 with respect to the requirements of 40 CFR 194.25(b). Therefore, the DOE remains in compliance with the requirements of sections 194.25(b)(1), (b)(2), and (b)(3).